Many readers will be just like me and can never say no to sushi! The beauty of sushi is that it caters for many people’s dietary requirements and there really is a limitless recipe list on how to enjoy this popular Japanese cuisine. 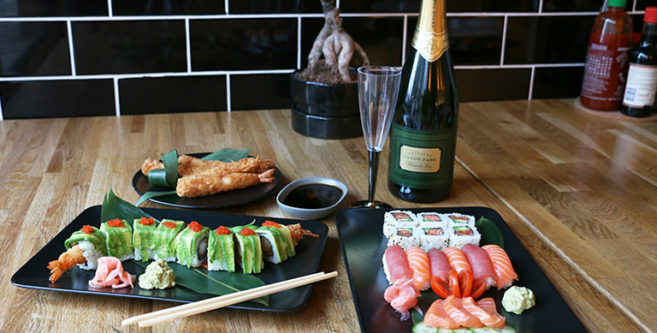 We were invited by YouMeSushi to taste a selection of the sushi dishes to pair along with both Champagne (Moet and Chandon Brut NV) and English Sparkling Wine (Exton Park Blanc de Noirs).